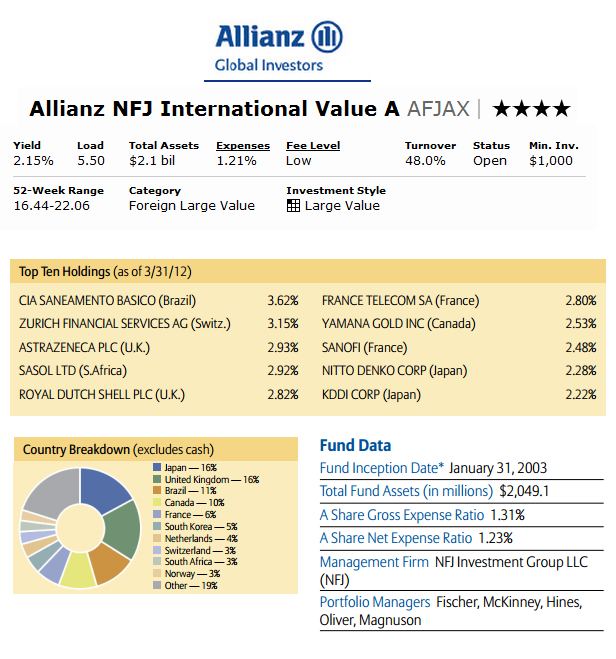 The Allianz NFJ International Value Fund (AFJAX) is a top rated stock mutual fund. This foreign large value equity fund invests in non-U.S. companies. You can find the fund review in this post. 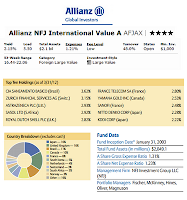 The investment aim of Allianz NFJ International Value fund is to seek long-term capital growth and income. This fund invests majority of its net assets in common stocks and other equity securities of non-U.S. companies with market capitalizations greater than $1 billion. It may invest in preferred stocks, convertible securities, American Depositary Receipts (ADRs), and warrants. It may invest <50% of assets in emerging market securities. The 10 top performer precious metals exchange traded funds up to July 29, 2012 are iShares COMEX Gold Trust, SPDR Gold Trust, PowerShares DB Gold Fund, etc. These best performing exchange traded funds are sorted based on its YTD performance. There are a total of 20 ETFs in this precious metal ETF category. The expense ratios are ranging from 0.25% to 1%. The ETFs issuers are Barclays iPath, ETF Securities, Invesco PowerShares, iShares, RBS, State Street, and UBS. Best Franklin Templeton Mutual Funds of 2012 are Franklin Rising Dividends, Mutual Global Discovery, Templeton Global Bond, Franklin Income, etc. These top 10 funds provide asset diversification. There 3 types of mutual funds offered by Franklin Templeton Investments: Franklin mutual funds, Templeton mutual funds, and Mutual Series. These mutual funds series offer various different classes or categories of mutual funds. 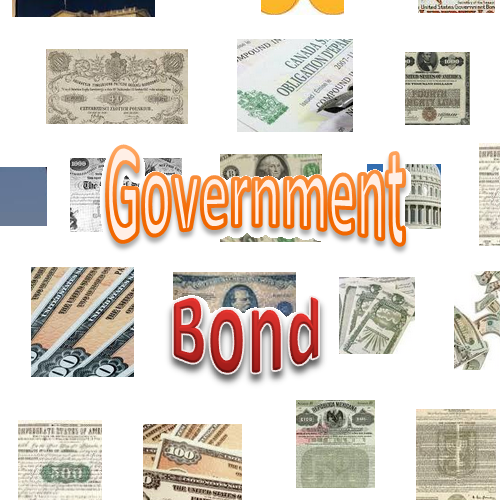 Some of the categories are government bond, money market, tax free income, growth, emerging markets stock, sector, value stock, global stock, balanced, etc. It also offers closed end funds. Note: The list provides Class A funds which have sales load; you can try to invest in Class R or Class Z or Advisor Class for no load funds. These no load Franklin Templeton mutual funds are available through retirement account (IRA) or 401(k) account or other regular brokerages. These best mutual funds are sorted based on its performance and quality. You can find various funds to invest in. These top funds are international stock mutual fund, European stock fund, municipal bond fund, utilities sector fund, moderate allocation balanced fund, etc. Please check the fund prospectus for investment risk, fund details, etc. 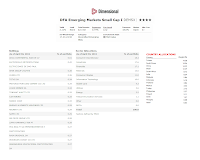 DFA Emerging Markets Small Cap Fund (DEMSX) is an international stock mutual fund. This diversified emerging markets equity fund invests in small companies located in emerging market countries. 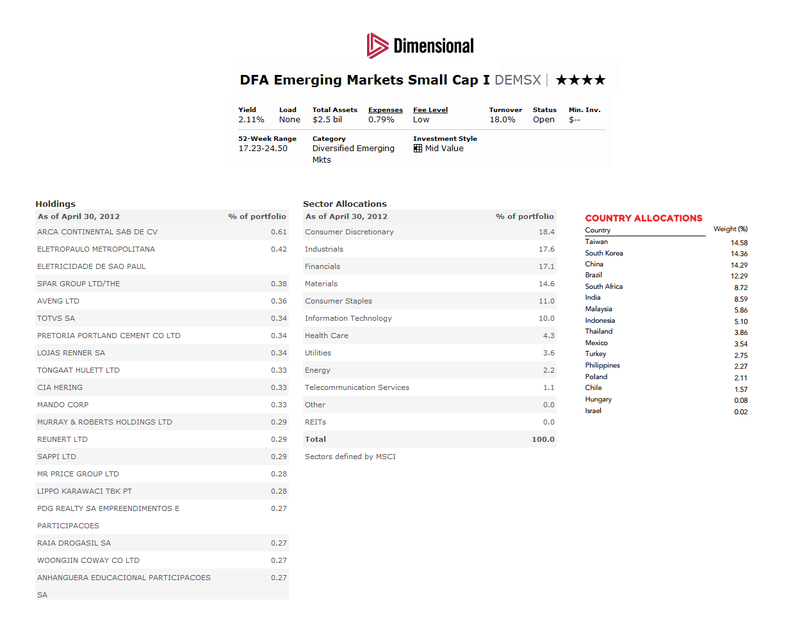 The investment aim of DFA Emerging Markets Small Cap fund is to seek long-term appreciation of capital. This fund invests significantly all of its assets in broad market coverage of smaller companies associated with each emerging market, which may include frontier markets. It may invest in the form of depositary receipts. YTD top performer long term government bond mutual funds up to July 22, 2012 are PIMCO Extended Duration, Wasatch-Hoisington US Treasury, Vanguard Long-Term Treasury, etc. These best performing long government bond mutual funds are sorted based on its year to date performance up to July 22, 2012. You may find several mutual fund families such as PIMCO fund, Rydex, ProFunds, Wasatch, American Century, Vanguard fund, Fidelity fund, T. Rowe Price fund, etc. 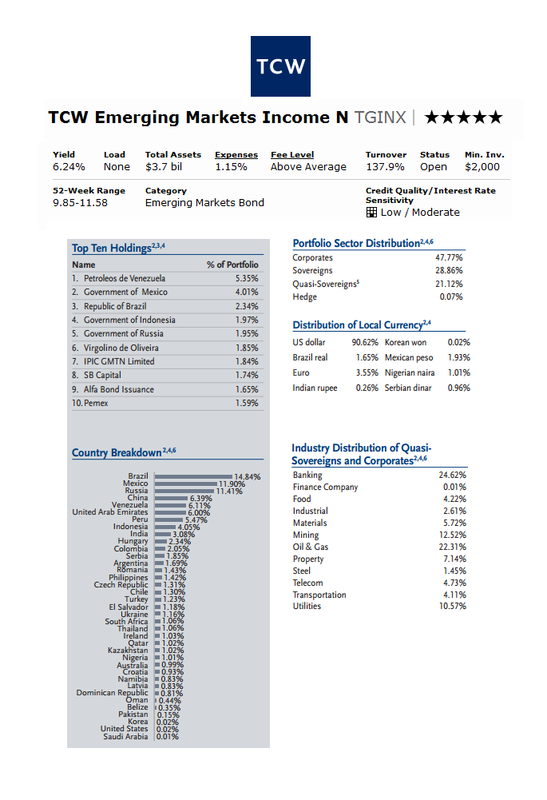 Best no load diversified emerging markets stock mutual funds of 2012 are Eaton Vance Parametric Tax-Managed Emerging Markets I, DFA Emerging Markets I, Lazard Emerging Markets Equity, etc. These top emerging markets stock mutual funds are selected based on its performance and quality. These equity funds invest mainly in companies located in emerging markets countries such as Brazil, China, Russia, India, Taiwan, South Africa, etc. The investment risks include foreign investment risk, management risk, stock market risk, emerging markets risk, etc. Note: These top emerging markets stock funds are suitable for 2013 investment as well. 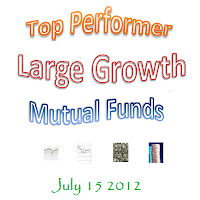 The YTD Top Performer Large Growth Stock Mutual Funds up to July 15, 2012 are Matthew 25, SunAmerica Focused Growth, Hartford Growth Opportunities, etc. One of the U.S. domestic stock mutual fund categories is large growth equity fund. This large growth fund invests mainly in large companies with growth potential. You can find the fund review below. 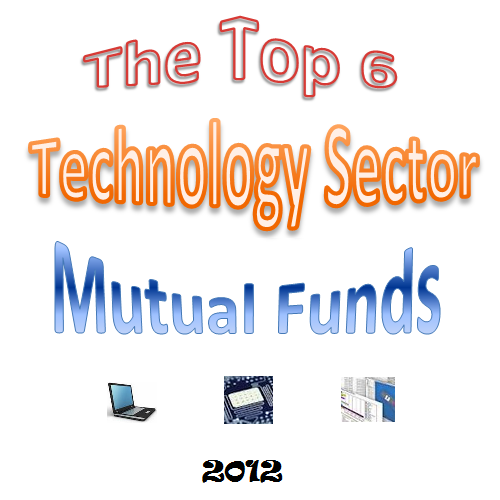 The top 10 technology sector stock mutual funds of 2012 are Saratoga Technology & Communication, Berkshire Focus, Fidelity Select Computers, etc. The best funds provide opportunity to investors. More fund review can be found below. 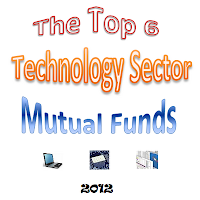 Technology sector funds are part of domestic stock mutual fund categories. Investing in technology sector mutual fund provide a great potential for investors, they also provide great risk too. We have observed a tech bubble burst in 1999. These technology mutual funds invest in various companies engaged in technology, communication, electronic, software, etc. Note: Other sector mutual funds are communications, consumer discretionary, consumer staples, equity energy, financials, health care, industrials, natural resources, precious metals, real estate, and utilities. These top technology sector funds are chosen based on its long term performance. You may find other fund information such as dividend yield, top holdings, expense ratio, sales load, fund manager, fund objective, etc. The YTD top performer high yield bond ETFs up to July 15, 2012 are Peritus High Yield ETF, SPDR Barclays Capital High Yield Bond ETF, iShares iBoxx $ High Yield Corporate Bond Fund, PIMCO 0-5 Year US High Yield Corporate Bond Index fund etc. These best performing high yield bond exchange traded funds are sorted based on its year to date performance up to July 15th, 2012. The issuers of these high yield bond ETFs include AdvisorShares, Guggenheim, Invesco PowerShares, iShares, PIMCO, State Street, and Van Eck. The funds have expense ratio ranging from 0.30% to 1.35%. 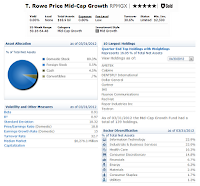 T. Rowe Price Mid-Cap Growth Fund is a no load domestic stock mutual fund. This mid cap growth equity fund focuses its assets in mid-cap companies with faster growth rate. The following is the fund review. The investment aim of T. Rowe Price Mid-Cap Growth fund is to provide long-term capital appreciation. This fund utilizes its net assets to purchase a diversified portfolio of common stocks of mid-cap companies with a faster rate earning. It uses the S&P MidCap 400 Index or the Russell Midcap Growth Index as its benchmark. 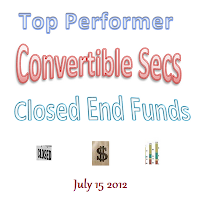 The YTD top performer convertible securities closed end funds up to July 15, 2012 are AGIC Convertible & Income, Calamos Convertible & High Income, Putnam High Income Secs, etc. These best performing convertible securities CEFs may provide opportunity to investors. Convertible bonds offer investor to the opportunity to convert a bond into the company’s stock. These convertible funds carry potential risks and advantages similar to bonds. Like stock, the closed end fund can be bought from stock market like NYSE, NASDAQ, AMEX, etc. You can choose your brokerage to purchase these closed-end funds. TCW Emerging Markets Income fund is another best bond mutual fund. This emerging markets bond fund invests in emerging markets countries: Brazil, Mexico, Russia, China, Peru, Venezuela, UAE, Indonesia, India, etc. The TCW Emerging Markets Income fund objective is to achieve high total return from current income and capital appreciation. This fund focuses its investment in bond offered by companies, financial institutions and government entities in Emerging Market Countries. It may invest in high yield, unrated, and defaulted corporate securities. YTD Top Performer Municipal Bond ETFs up to July 15, 2012 are Market Vectors High Yield Municipal Index ETF, SPDR Nuveen S&P High Yield Municipal Bond ETF, etc. These best performing municipal bond exchange traded funds can be categorized into various classes such as short term muni bond, intermediate term muni bond, long term municipal bond, high yield municipal bond, etc. These funds provide income exempt from federal tax rate and possibly state tax. The muni bond ETFs have expense ratio ranging from 0.16% to 1.43%. The fund providers are Columbia, Invesco PowerShares, iShares, PIMCO, State Street, and Van Eck. 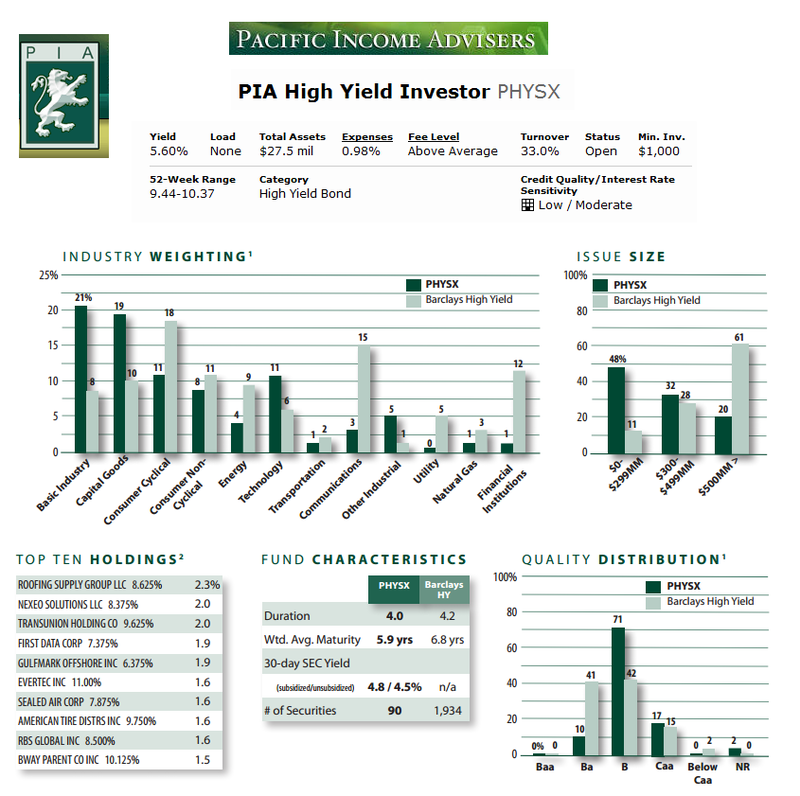 This post is about the best PIMCO mutual funds of 2012 including bond, stock and balanced funds. The top funds are PIMCO Total Return, PIMCO High Yield Fund, PIMCO Emerging Markets Bond, etc. PIMCO is one of the popular mutual fund families. It provides a wide selection of mutual funds across all asset classes. Investors can choose different fund to achieve a portfolio diversification. These funds may provide high yield income, capital appreciation, and capital preservation. Bill Gross and Mohamed El Erian are the co-CIO of the PIMCO (Pacific Investment Management Company, LLC). PIMCO Investment is a unit of Allianz Global Investors. These top mutual funds are selected based on its long term track record. They may include diversified bond fund, high yield bond, emerging markets bond, balanced fund, commodities fund, etc. You can find the fund review from this post. Note: This list provides Class A fund which may have a sales load. You can try to invest in Class D or Institutional Class which doesn’t charge a sales load. Precious metals such as Gold and Silver have become an important portfolio asset for investors. Owning these precious metals directly does involve significant work for retail investors. Using mutual funds, investors can achieve the same investment goal. 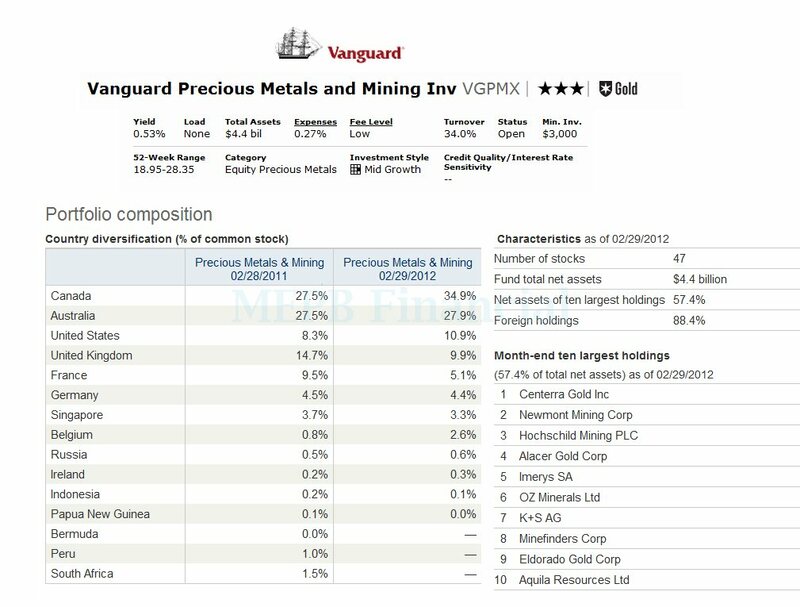 One of the popular precious metals mutual funds is Vanguard Precious Metals and Mining Inv. The Vanguard Precious Metals and Mining fund objective is to provide long-term capital appreciation through investment in the stocks of foreign and U.S. companies of metals or minerals. These precious metals companies may involve in the exploration, mining, development, fabrication, processing, marketing, or distribution. The majority of these companies will be mainly involved in activities related to gold, silver, platinum, diamonds, and rare metals or minerals. 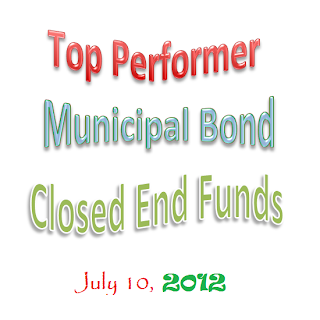 YTD Top Performer Municipal Bond Closed End Funds up to July 10, 2012 are PIMCO CA Muni Income, PIMCO Municipal Income II, MFS Investment Grade Municipal Trust, etc. 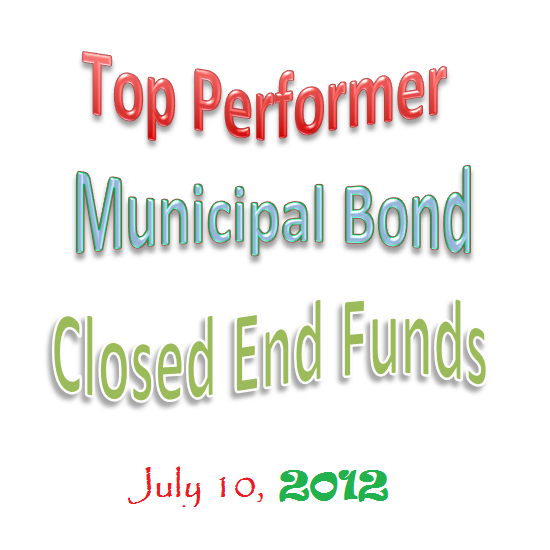 In 2012, municipal bond funds have a good year to date performance. These top performer muni bond CEFs are classified into various categories such as diversified national municipal bond, high yield muni, California municipal bond, Ohio municipal debt, etc. Most of these top performers are highly leveraged. 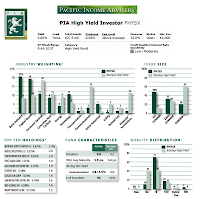 PIA High Yield Fund is a taxable bond mutual fund. This high yield bond fund focuses its investment in domestic and foreign high yield debts. The fund review can be found in this post. The investment objective of PIA High Yield fund is to seek a high current income level and capital growth. This fund utilizes majority of its assets to purchase a diversified portfolio of domestic and foreign high yield instruments. They include junk bonds, forward commitments, loan participations and assignments, and preferred stocks. It may invest in foreign currencies and emerging market countries bonds. The YTD Top Performer Domestic Stock Closed End Funds of 2012 are H&Q Life Sciences Investors, Cohen & Steers Quality Realty, Firsthand Technology Value, etc. 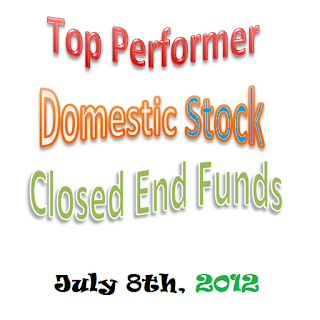 These top performing domestic stock CEFs are sorted based on its YTD performance up until July 8th, 2012. The top performers consist of health sector equity, real estate fund, global real estate, diversified fund, financial sector, option fund, etc. You can find the fund review below. The best no load emerging markets bond mutual funds of 2012 are Fidelity New Markets Income, TCW Emerging Markets Income, etc. You can find the fund review in this post. Emerging market bond fund is part of taxable bond mutual fund categories. This emerging market debt fund invests in debt securities of emerging market countries. It may invest in corporate and government bonds. This fund provides high yield for investors who seek income. These top emerging market bond mutual funds have no sales load and good long term track record. You can find the fund management, fund review, top holding, top sector, average maturity, yield, expense ratio, etc. The year-to-date top performer Fidelity Mutual Funds up to July 8th, 2012 are Fidelity Select Biotechnology Portfolio, Fidelity Select Retailing Portfolio, etc. The fund review is described in this post. 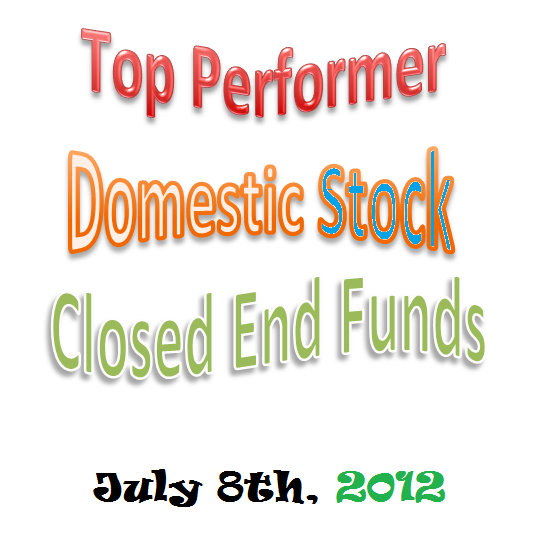 These best performing fidelity mutual funds are sorted based on its year to date performance up to July 3, 2012. Most of these top performers are sector equity mutual funds. You can find the following sector mutual funds: Health, Consumer Cyclical, Financial, Technology, and Communications. This list also provides other fund categories such as growth stocks. 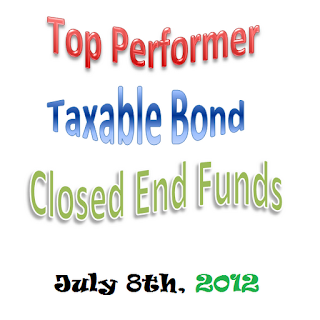 The year-to-date top performer taxable bond closed end funds (CEFs) up to July 8th, 2012 are PIMCO High Income, Nuveen Mortgage Opportunity Term, Helios High Income, etc. 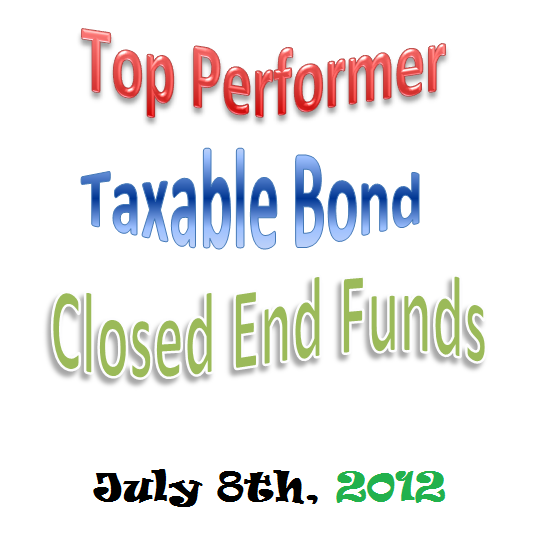 These best performing taxable bond CEFs are sorted based on its YTD performance up to July 8th, 2012. Most of these top performers are high yield bond, mortgage bond, bank loan, and general bond. You can find the fund review below. 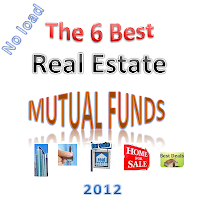 The 6 best no load real estate mutual funds of 2012 are PIMCO Real Estate Real Return Strategy, Neuberger Berman Real Estate, Vanguard REIT Index, etc. You can find the fund review in this post. One of the domestic stock mutual fund sectors are real estate. This real estate fund invests mainly in equities of companies related with real estate properties and other real-estate investment trusts (REITs). There are different classes of real estate such as apartment, industrial, mortgage, office, factory-outlet, health-care, shopping center, hotel, etc. 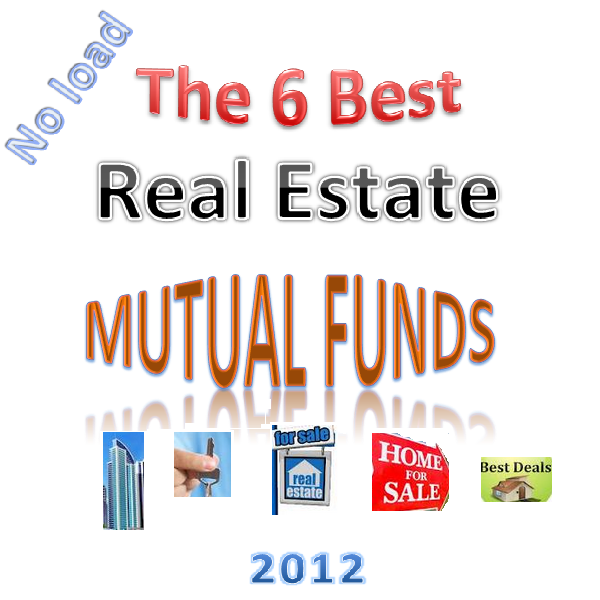 These top real estate sector stock mutual funds have no sales load and good long term track record. You can find the fund review, fund management, top holding, top sector, yield, expense ratio, etc. 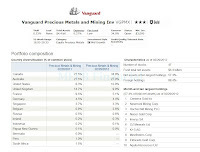 The year-to-date top performer Vanguard Mutual Funds of 2012 are Vanguard REIT Index, Vanguard U.S. Growth, Vanguard Small-Cap Growth Index, etc. You can find the fund review. 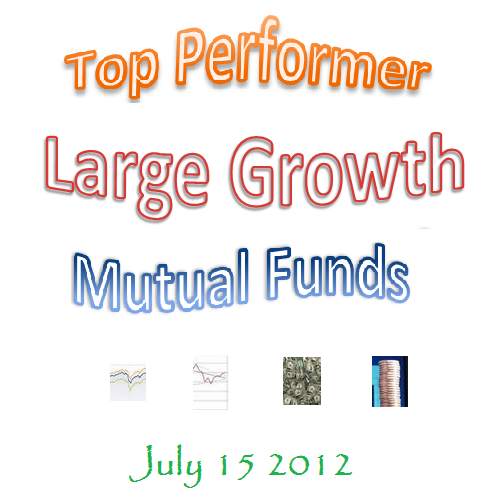 These YTD top performer Vanguard funds are sorted based on its performance up to July 3rd, 2012. Most of the top performers are equity mutual funds especially U.S. domestic stock funds. Other classes of top performers are real estate sector, large growth, small cap, equity income, growth stock, etc. This Vanguard Global ex-U.S. Real Estate Index fund utilizes its assets to purchase equities that track performance of international real estate stocks in both developed and emerging markets. Gerard C. O'Reilly is the fund manager. The yield is 2.67%. The expense ratio is 0.50%. The best high yield bond mutual funds of 2012 are Fidelity High Income, TIAA-CREF High-Yield Retail, Neuberger Berman High Income, etc. You can find the top fund review. High yield bond fund is part of taxable bond mutual fund. This fixed income fund provides high regular income to investors. It invests in non-investment grade bonds and other high income-producing debts or obligations. These top high yield bond mutual funds are selected based on its long term track record and its sales load. There is no sales load for these best bond mutual funds. You can find the fund review and other fund information such as fund management, track record, expenses, yield, top holding, etc. 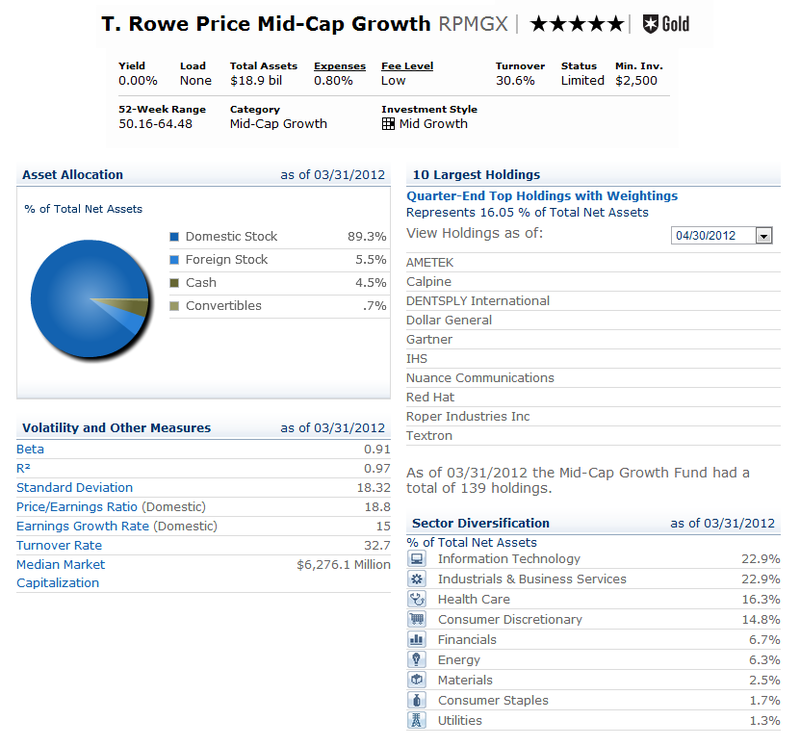 T. Rowe Price Growth Stock Fund (PRGFX) is one of the best rated domestic stock mutual funds. This large growth fund focuses its investment in companies with large capitalization. Additional fund review can be found below. The investment aim of T. Rowe Price Growth Stock fund is to provide long-term capital growth and increasing dividend income. This stock fund utilizes its assets to purchase the common stocks of a diversified group of growth companies. It may invest in other securities including foreign stocks, futures, and options. The year-to-date top performer balanced mutual funds up to July 1, 2012 are Fairholme Allocation, Columbia Marsico Flexible Capital, Harbor Flexible Capital, etc. Each fund review can be found in this post. 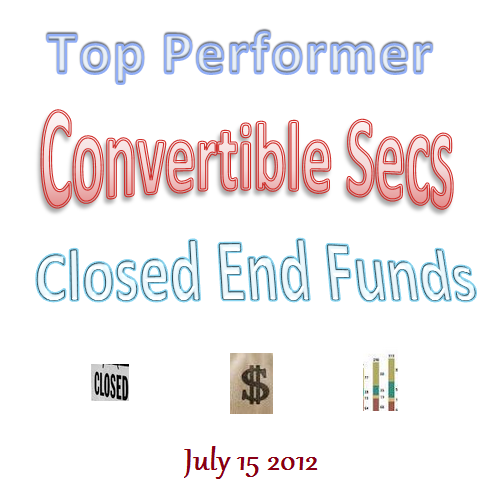 These top hybrid funds are sorted based on its year to date performance up to July 1, 2012. Balanced funds invest in stocks, bonds, and cash. It may include common stocks, preferred stocks, convertibles, taxable bonds, municipal bonds, and short term instruments. The categories of balanced funds are world allocation, conservative allocation, moderate allocation, and aggressive allocation. The top 10 American Funds mutual funds of 2012 are American Funds Fundamental Investors, American Funds EuroPacific Growth, etc. You can find the best funds’ review in this post. American Funds have been around the investment world since 1931. Their objective is to provide assistance for investors to achieve long term investing success. There are several advantages in choosing American Funds such as they provides consistent approach with team of portfolio managers, they have a good system with diverse portfolio, and they have great long-term track record especially equity funds. These best mutual funds are selected based on its long term track record. They may include growth fund, domestic stock fund, international stock fund, growth and income fund, equity income fund, balanced fund, high yield bond fund, taxable bond fund, municipal bond fund, etc.